1) Do Stronglifts 5×5. That means barbell training. Squats three times a week. Presses. Bench Press. Deadlifts. Rows. All of those. Add to the bar every workout. Read the ebook before going to the gym. Read all of the links in it. This will take you two hours if you’re diligent. Take notes. Practice form. Think about it. Learn it. Know it. Live it. Love it. Do not change it until you stall on squats three times–you’ll be squatting over 200 pounds at that point. Do not add exercises. Do not worry about slow growth in your arms. They will grow with time. Believe me. Once you know what it’s like to lift real heavy weights you can decide if you want to add a few extra exercises at the end of your workouts. 2) EAT MORE. Aim for 1000 calories/day over what you need to maintain your current weak, flabby frame. If you start getting fat, reduce calories then. For now, do not worry about getting fat. It’s not going to happen. When I was 5’9″ 162 pounds and pretty weak I started eating 5000 calories a day of whole foods and whole milk and put on muscle without gaining fat. 3) No more weak meals like oatmeal and yogurt. That’s what famished yoga instructors eat. If you want to be a Big Strong Man, you have to eat like a Big Strong Man. Each meal you need one SOLID source of protein. Start having 4 eggs for breakfast every day. Seriously. Have some bacon or ham with it too. If you eat grains, make them whole grains. No little kid’s size sandwiches for lunch. You need huge chicken breast + vegetables, greens and olive oil-based salad dressing for lunch. If you have a sandwich, double or triple up that meat. Related article: Full Body Workout Vs. Split Routine: Which Is Better? 4) Eat Real Food. Read Michael Pollan’s books “In Defense of Food” and “The Ominvore’s Dilemma” on this topic. Don’t eat anything your great grandmother wouldn’t recognize as food. We’re trying to become big, strong and healthy here. Stick to the perimeter of the grocery store. Real food tends to be on the outer edge of the store so that it can be easily kept cool/replaced when it gets old. Don’t eat anything that won’t eventually rot. 5) Get your nutrients! Eat many fruits and vegetables. One fruit and one vegetable with every meal is good. Take a multivitamin and fish oil with breakfast. I also like a B-complex pill with breakfast. Which other vitamins? I don’t know. They’re all probably good. Just take some. Maybe they do nothing. Maybe they do a lot. From what I can tell no one really knows. But they certainly won’t hurt. Now that you’re eating more you need to be sure to get enough nutrients. You’re probably covered by eating a variety of foods, but taking a couple vitamins is good insurance. 6) Between meals eat something a strong person would eat: walnuts, hard boiled eggs, apples, whey or preferably whole milk. 7) Think of eating as a part of your training. Don’t make a distinction. If at least once a week–hopefully on deadlift day–you don’t have an epic struggle of you vs. the bar and you vs. the plate of food, you’re not training very hard. 8) Drink a lot of water. Juice won’t do much good for you so stick to water and tea. I think beer is OK in moderation. Whole milk is awesome in excess. 9) Macro-nutrient ratios are largely irrelevant unless you’re trying to get very very lean. 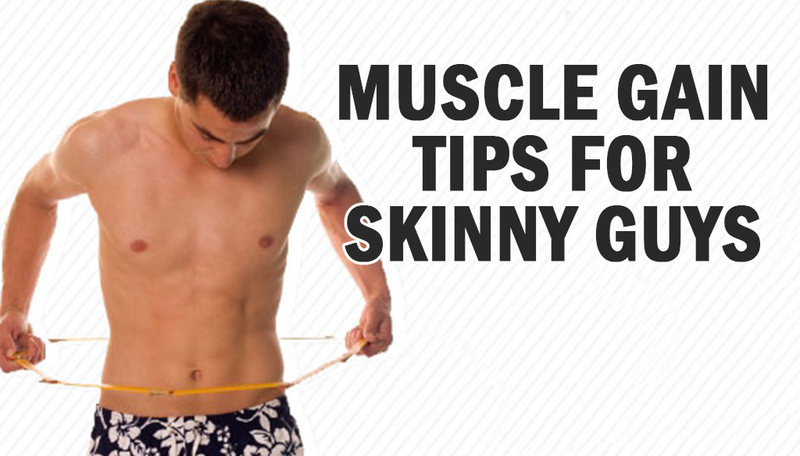 You can do that, but you need to build muscle first. Think of it this way: you don’t chisel the marble sculpture until you have a big block of marble to work with. It took me a long time to accept this, but it’s true. The only numbers you need to be concerned about are protein and total calories. Total protein should be your goal bodyweight in pounds x 1.5. 10) Consider GOMAD. It REALLY works.It’s not as hard to get down or rough on your GI track as you think it might be. If you have trouble digesting milk, try goat’s milk. It’s easier to digest. Need money for all that food? Cut out other crap in your life or do some odd jobs for neighbors. This could serve as further motivation to get a new, better paying job. Call grandma. Just make it happen. 11) Do not skip a workout because you’re sore. Go to the gym anyway. Get warmed up and if you can execute the full range of motion, it’s time to lift. I’ve found the urg (rowing) machine for 1km works best for warming up the whole body. Lifting will help you recover by infusing blood into your muscles. If you absolutely can’t do the full range of motion, and therefore can’t lift to recover, eat to recover. Leave the gym and go to an all-you-can-eat Mongolian BBQ and make it an epic struggle. Then go to the gym the next day. 12) Drink coffee pre-workout and at least 1 quart (liter) of whole milk post workout. I’ve found a little caffeine really improves my motivation and intensity. Milk is great after working out from a nutritional standpoint, and you’ll be thirsty anyway. It does the body good. Again, if you have digestion issues with milk, consider goat’s milk. It’s sold at Whole Foods in the USA. 1 quart costs less than the 12 oz protein shakes sold at my gym. 13) Get plenty of sleep. This takes real discipline and is impossible sometimes. Trust me, I often work from 7:30 am until 6 pm or later and then go to the gym. Make 8 hours/night the goal. It wont always happen but you have to try.